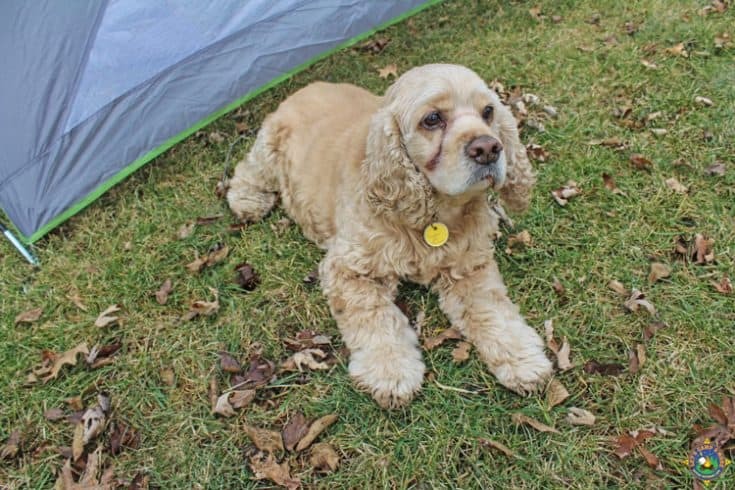 Camping with dogs can be a lot of fun, but it requires you to be prepared. 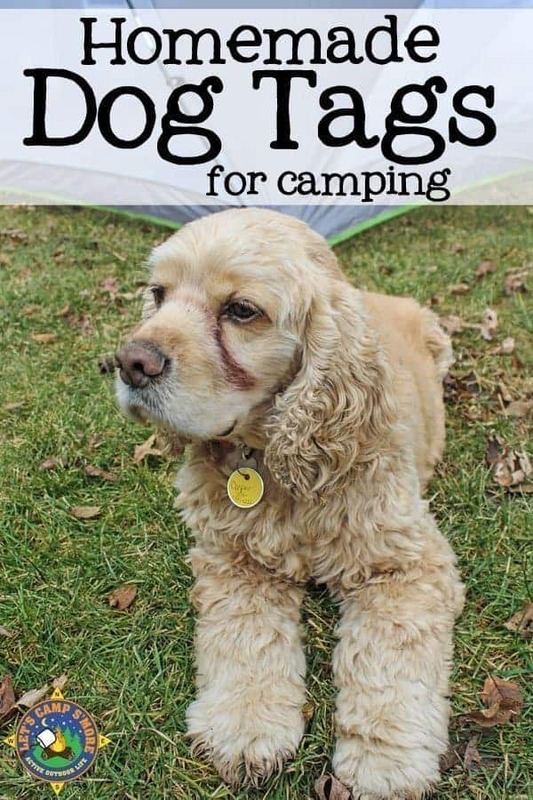 Follow these tips for dog camping that show you how to make DIY Dog Tags to keep your pet happy, safe, and healthy on your trip. Our dog, Cooper, loves to go camping with us. He gets excited when we are packing the car and shakes with excitement until we put him in the vehicle. He settles down once we get on the road and is happy when we arrive at the campground. Here are our tips for camping with your dog. 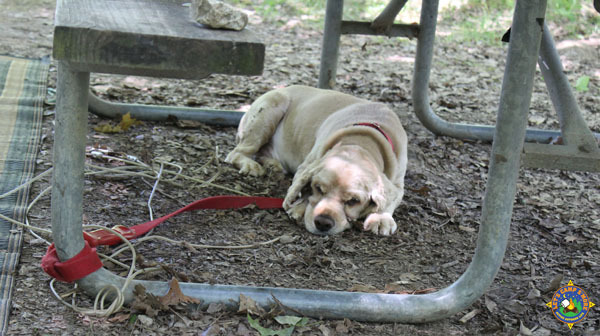 Keep your dog safe from wild animals – Do not leave your dog unattended outside your tent or RV. You never know when a critter might come up and mess with them. 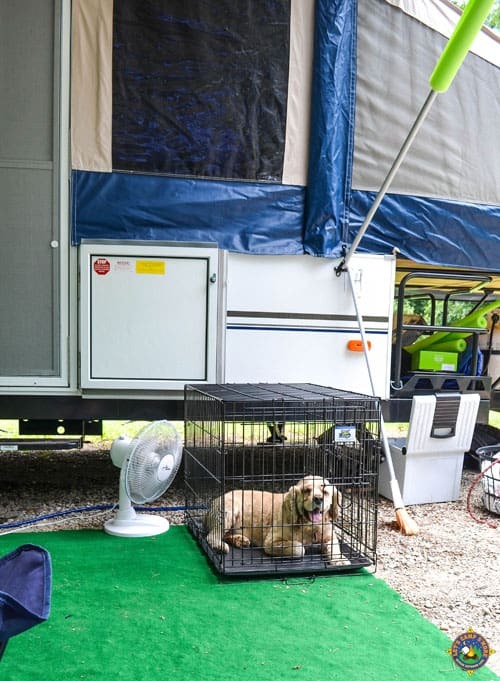 Keep the dog cooled off – When camping with dogs during warm months, so it is important to keep your dog comfortable in the heat. Set them up in the shade and consider the use of a fan. Take them on walks or hikes early or late, letting them rest during the hot part of the day. Make sure the dog has plenty of fresh water – Have fresh water available for your dog at all times. With being outside, you will have to change their water frequently due to dirt or bugs. 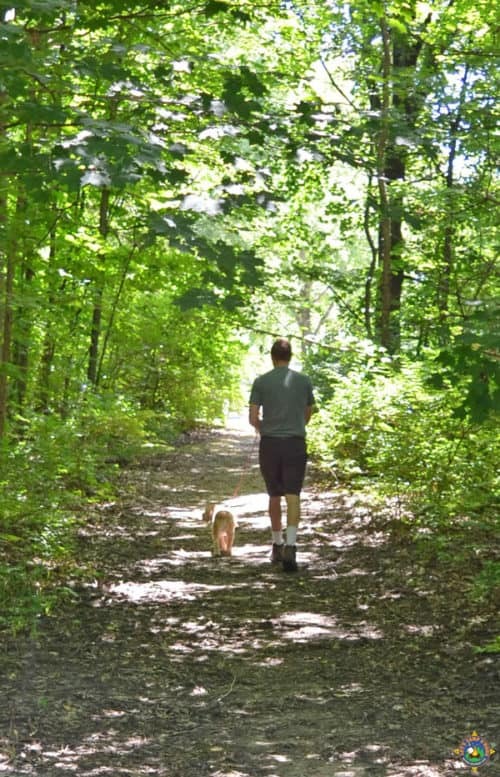 Check your dog for ticks – We have pulled several ticks off our dog while camping. Check them again after you get home. Make sure to have proper identification on the dog – Does your dog have tags with their name and a phone number to reach you? How would someone reach you if you do not get reception on your phone at the campground? 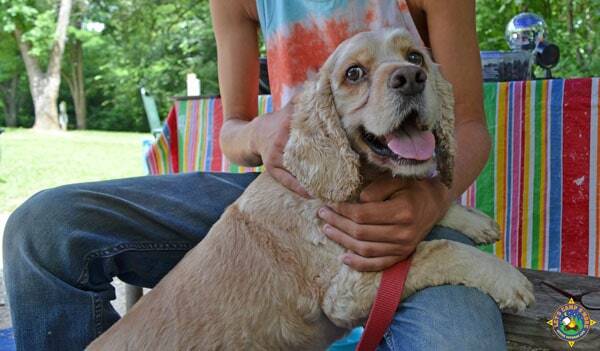 Create a temporary ID tag for your dog. Directions can be found at the bottom of this post. Make sure you pack dog food – There is so much that you need to remember to pack for camping, so is very easy to forget to bring food for your dog. Bring more food than your dog will need. Bring your pet’s food in a sealed container to keep critters out. 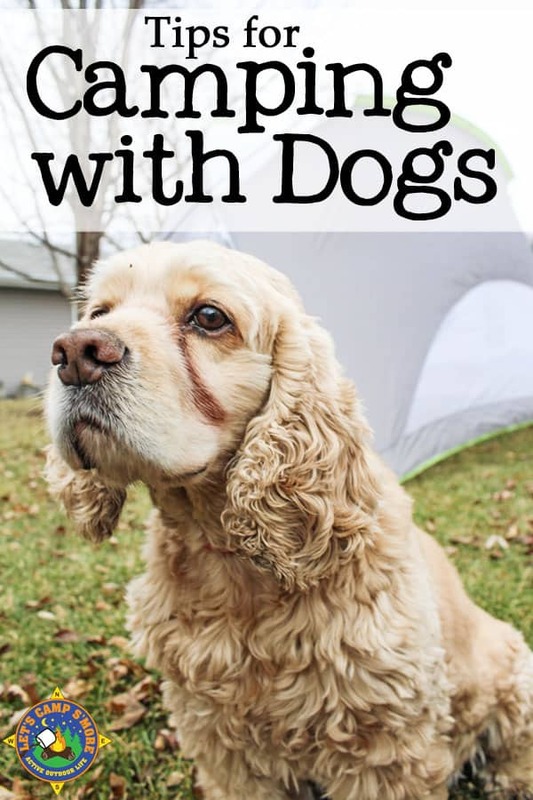 Do you have any tips for camping with dogs to add? 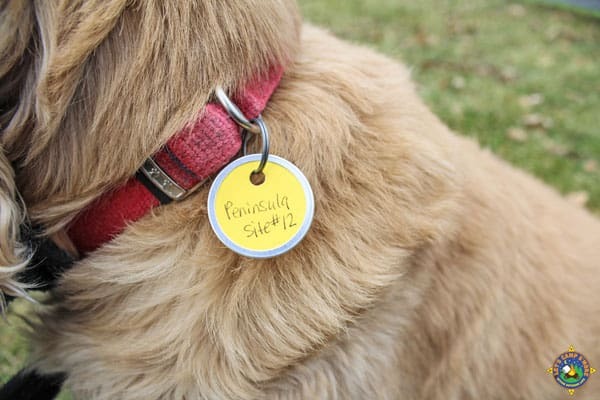 Write your dog’s name and a phone number to reach you on one side of the tag. Write the campground name and your site number on the other side of the tag. Attach the tag to your dog’s collar. 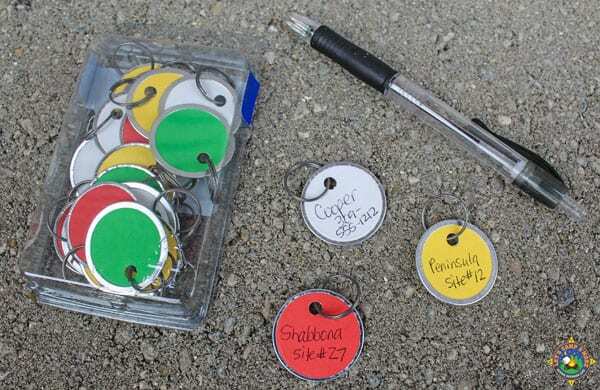 These temporary DIY Dog Tags will be helpful if your dog separates from you at the campground. Great ideas! Great tip for looking for ticks and the tag is genius! Pinned & shared. Thank you for sharing on Merry Monday! Hope to see ya next week! We plan to camp with our horses. I can use the tag idea for them. Thank you. You are welcome. Happy Trails!